A person’s smile can say a great deal about them, but what if you have dental problems to which smiling only draws negative attention? The fear of ridicule can prevent you from smiling to friends, family, clients, and coworkers, inaccurately presenting you as an unpleasant person to interact with. Dental surgery is always an option, but who can afford the outlandish prices for the simplest of procedures? If you feel unfairly trapped between needing to hide your teeth or risk receiving negative comments, there may finally be a solution to your problems. Dental implants can be one of the most expensive procedures a patient can expect to pay for, unless you are willing to take a trip to Turkey. Thanks to the lower cost of living, decreased insurance rates, and lack of overhead fees, dentists in Turkey can charge significantly less for surgeries that might cost much more elsewhere. Imagine no longer fearing every social interaction due to a missing tooth or teeth, but the relief of greeting each new acquaintance with a large smile. What’s more, receiving dental implants abroad allows for patients to take in the local scenery while still spending less than a single procedure back home. Who wouldn’t love to take a vacation, undergo much-wanted surgery, and still manage to pocket some money in the end? 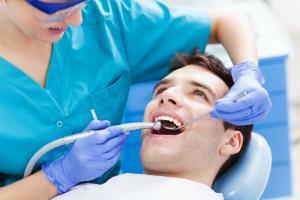 Don’t continue to suffer due to the inflated prices of dental procedures in your country. Our dentists in Turkey are accustomed to assisting patients from around the world, especially from Europe (UK, Germany, etc). If you’re serious about changing your smile for the better, then now is the best time to take action. Learn more about the world, fix your teeth, and lead a more confident life with a trip that will benefit you for years to come!